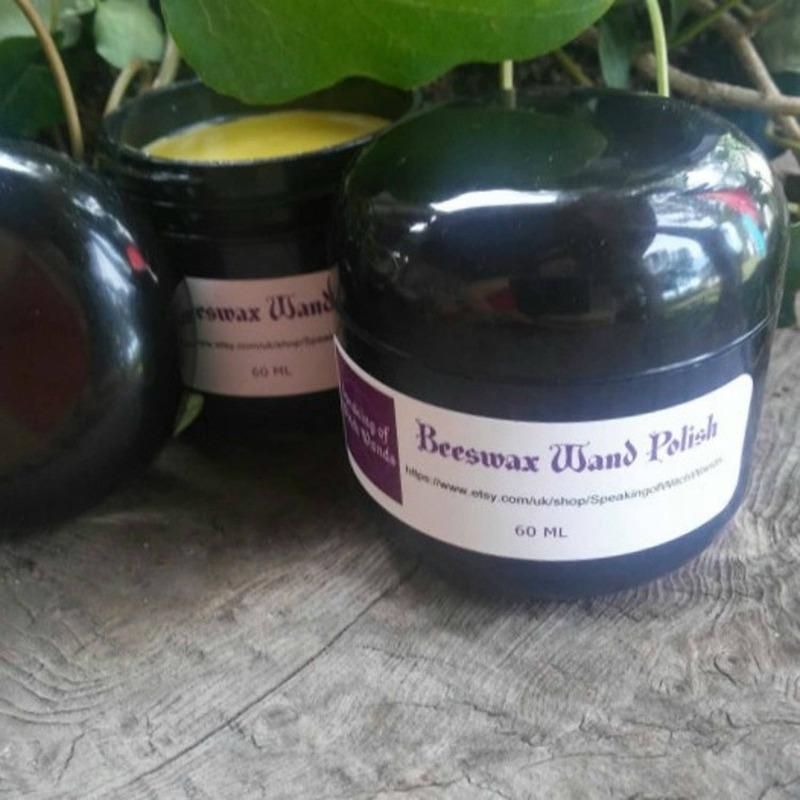 Our hand blended original Speaking of Witch Wands Beeswax Wand Polish in a new, larger size! 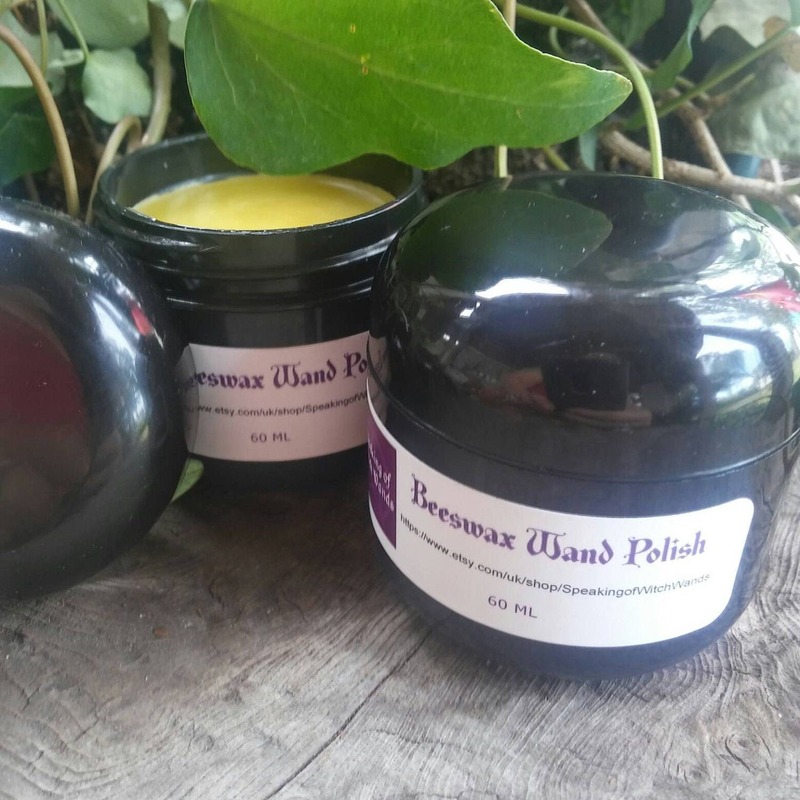 We often set up special orders for people to buy more than one small pot of our wand wax so this way if you want more, you get more! And, you also save money. This 60ml jar should last about a year under normal circumstances. We create this wand polish with English beeswax, sunflower oil, and two extra little ingredients which make it special. It is not only wonderful for wands but a wood polish for furniture, talismans, amulets, and anything made of wood. It is so safe to use, you can even use it as a lip balm. A polish for wands, a polish for wood, and a beeswax lip balm all in one. 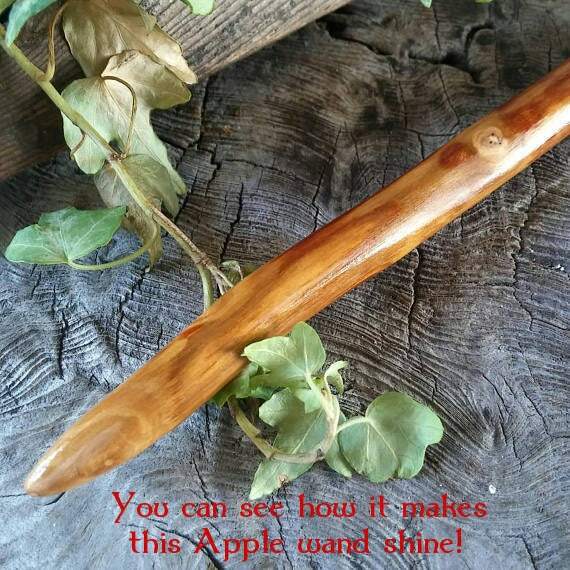 Use it when you receive your wand to enhance it with your energies once you've cleansed and consecrated your wand. It's especially nice to use without a cloth and only the tiniest amount is necessary.